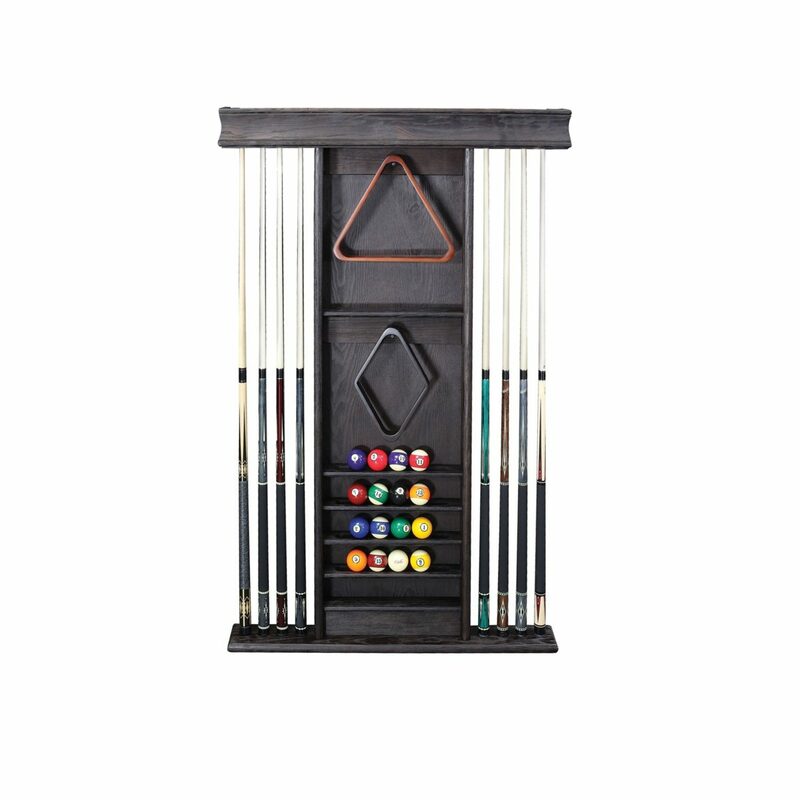 This solid wood wall rack with a Dark Chestnut finish. This rack holds 8 cues, a set of balls, triangle, and a 9-ball rack. Measures 35.5-inches wide x 58-inches high x 4.5-inches deep. Hardware included. Assembly required.